Once a month we publicly discuss the impact of digitalisation on the society. Therefore we invite special guests, engage in a dialogue with the audience and the Twitter-community and finally broadcast it on YouTube. Please note, that the events will be held in German – you can find more detailed information here. You want to join our next Digitaler Salon? - register here for the newsletter. Together with Kooperative Berlin, the Alexander von Humboldt Institute for Internet and Society (HIIG) organises the Digital Salon at its own offices every last Wednesday of the month. After the talks, you can have pleasant conversations while enjoying cidre and pretzels. You can't be physically present? Just watch the live stream on our website. Afterwards all broadcasts will also be published as videos. On Twitter you can find the salon under the hashtag #DigSal. You find recordings of past events on the specific page of the event. The Livestream is only available 6.50 pm of the day of the event, on the start page and on the current event page. Enno Park, Chairman, Cyborgs e.V. 18:30 - 21:00 Talk | Digitaler Salon: E-dentifiziert? 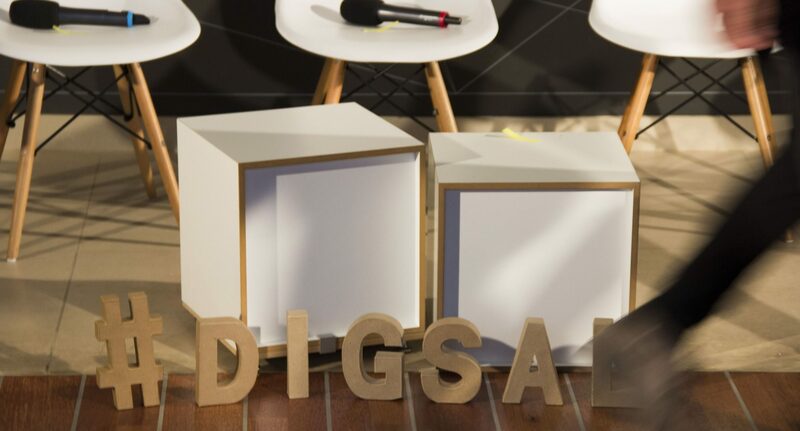 19:00 - 20:30 Digitaler Salon Special: Lost in Neuland?